Explain why courage, team building, leadership, and continuous improvement are required in a DevOps environment. Describe how to form good DevOps teams. 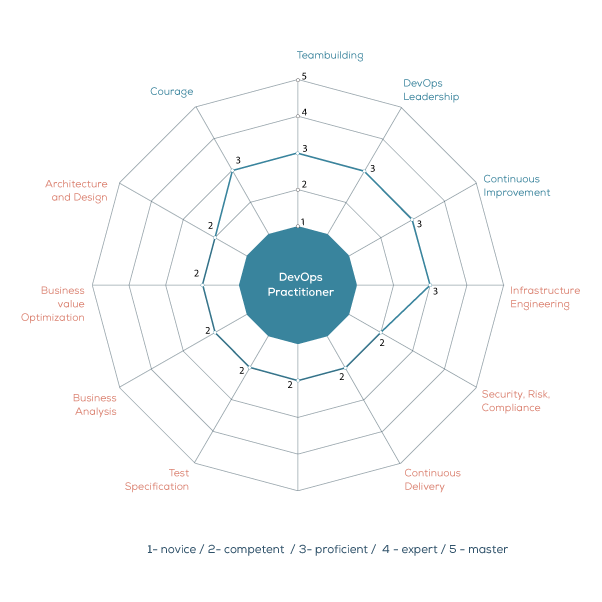 Assess the maturity of DevOps teams. Builds upon the DASA DevOps Fundamentals qualification. The key focus of DevOps Practitioner is on the 4 skill areas required for successful DevOps results. The DASA DevOps Practitioner course prepares candidates for the Practitioner qualification. It is designed to provide the core education necessary to put DevOps into practice. With the help of DevOps theory, pragmatic examples and exercises, and interactive group discussions, the course will help you understand how to apply the necessary skills to practice DevOps. 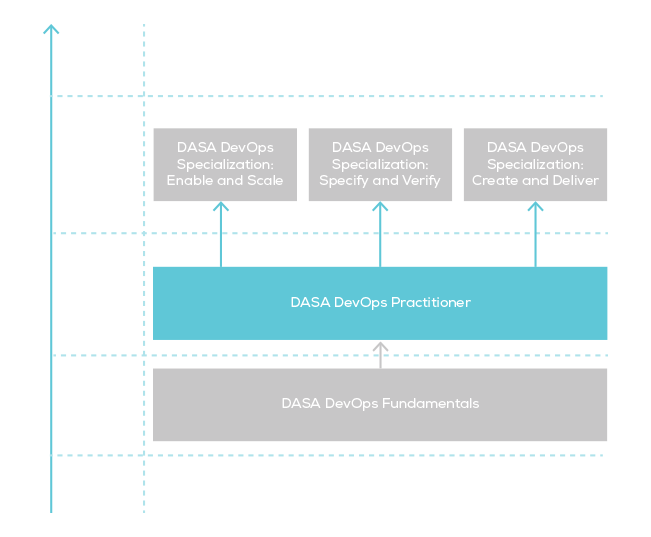 How Does DevOps Practitioner Fit into the DASA Competence Framework? After completing this course, you will cover the area marked as DevOps Practitioner in the following figure of the DASA qualification scheme. As a result, you will reach the “Proficient” level of the scheme.